Senegal is a country of contrasts because in a single view you will see women laughing and dressed in lovely printed traditional dress and boubous riding in pony carts, businessmen and women stepping out of their Lexuses and entering high rise offices, overloaded trucks that are impossibly wide for the street, and the tin shacks that house the poor. Turn your head, and you will see goats tied on top of cars for a quick ride to their new homes, children laughing, running, and twirling wooden hoops, and dogs and ponies everywhere. Much of Senegal remains deeply patriarchal and traditional, but women now form a significant minority in the government, and education is on the rise. Most of Senegal remains rural, with very limited education, almost no health care outside of the cities, and extreme poverty. One child in eleven dies before the age of five. More than 20% of children are malnourished, and malaria is a common cause of death. Burns are a daily fact of life in the village, where families cook food over open fires. This is where you will make a difference in this remarkable country. On this special trip, IMR will focus our efforts on the Talibé children. In rural Senegal, the accepted way for children to have the honor of attending school is through the Talibé system. In the past, this system developed educated professionals in Senegal; today, the children, living in "daaras" or schools, are found more often on the street, begging, than in the classrooms. The Talibé children live in dire conditions, sleeping on concrete floors with dozens of other boys. Many find refuge in their "daara" or school, with up to 100 boys being cared for by a single teacher. In order to attend school, the boys beg up to ten hours per day and are required to pay their teacher a daily fee. After begging all day, the children learn the Koran by rote; if they make a mistake in recitation, they are often severely beaten. By the time they are fifteen or sixteen years old, they are often abandoned to the streets. Join IMR as we return to treat the Talibé children with acute medical and dental care, health education, vaccinations, wound care, and love. We will also treat many villagers on this trip. The patients you will see will have conditions ranging from rashes to joint pain, lymphatic filariasis to leptospirosis, schistosomiasis to GERD. Burns are common from the open cooking fires and serious wounds are normal occurrences in clinic each day. Working in the villages is very special and our patients will celebrate your visit. Are you a Dentist? We need you HERE! This is a place of suffering, where chewing sticks have done their damage and created teeth that are barely an exterior shell, with roots that scream with every bite a patient takes. We see some of our sickest patients in Senegal. On our 2014 trip to Senegal, we treated more than 200 patients acutely ill with malaria in addition to those suffering from tinea, scabies, ear infections, urinary tract infections, respiratory infections, and sexually transmitted diseases. Your patients will be in the greatest need for medical and dental care. In 2018 we cared for more than 700 Talibe children and more than 1500 total patients. Health education will continue to make a difference to the health of the villages and the Talibé children. Please join us for a very special opportunity to care for the most neglected of patients on this rewarding trip. You will have the opportunity to partner with many local physicians and an outstanding team of translators that have worked side-by-side with IMR for many years. This is trip set apart by the variety of your experiences in Senegal. You will also spend your nights in small hotels, with beautiful courtyards and excellent food. Your transportation will be on buses and boats - and you will be staying overnight on an island! Please bring a sleeping bag and mosquito net; IMR will provide new mattresses for all which will be donated to families on the island when we leave. You will join your team members on a one day safari - get ready to have some fun! Zebras, rhinos, and lions are all possible sightings along with monkeys, giraffes, and many kinds of antelopes. This will certainly be a highlight of the trip! The real highlight, though, are the local physicians who work with our IMR team year after year after year. Working with these fine young doctors is the heart of sustainability - for IMR and for Senegal. We'll also be vaccinating our street children as we have for the past 10 years. Joining us in the field in Senegal makes a difference. Be The Good!! You're venturing around the globe, have you considered extending your stay a few additional days to visit some of Senegal's top spots? Join IMR on an exclusive three-day extension! Rich with colonial heritage and many natural attractions, Senegal is known for its exciting safaris, nightlife, and historical museums. While in Senegal, experience the wildly unique Lac Rose — a pink saltwater lake, the tiny, car-free island of Gorée and visit the House of Slaves museum. 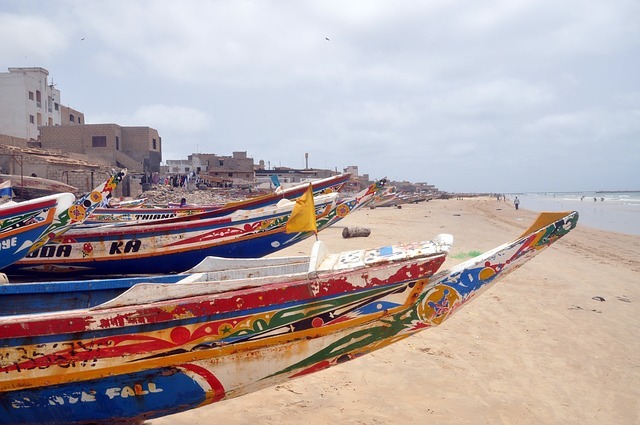 June 8, 2019: Plan your arrival in Senegal the afternoon of June 8 for a 5:00pm start! If you are flying on the IMR group flight, your transportation is included in the ticket cost. If you are flying independently, please contact our office at office@imrus.org if you wish to arrange transportation to your hotel in Mbour for a small fee. The hotel is approximately 45 minutes from the airport. There will be an orientation meeting in the evening to prepare you for the days ahead. You will see and care for many Talibé children on this amazing trip along with the very elderly, families, and whole villages! The street children we will care for receive virtually no care and it is our honor to care for them in Senegal. You will travel by bus or van and work in towns and villages. Along the way, you will be in some of the holiest cities of Senegal. Read on to learn more!! June 10, 2019: Clinic in Thiadiaye. After an amazing clinic day in a special city, we will drive to Touba where we will overnight and see the Grande Mosque the following morning. This is the holiest city in Africa and is the birthplace of Sufism. Very few outsiders receive a tour of the Mosque-- but it's our lucky day! Ladies, covered heads and shoulders and long skirt will be required. Gentlemen, long pants and a nice shirt will be required. June 11, 2019: Clinic in Djiourbel. You will tour the Grande Mosque early in the morning and then head to Djourbel for clinic during the day. You will see Talibe children and members of the community. After clinic, your team will travel about 1.5 hours to Thies where we will hold the last 3 days of clinic. June 12 - 14, 2019: Clinic in Thies. You will work with the Talibe children and in a large, traditional village. All of these sites are old and good friends of IMR teams - you will have a wonderful time while caring for patients who are quite acutely ill.
After our safari, we will have a celebration lunch and head to the airport for flights home. Are you joining IMR in The Gambia? If so, we'll be driving to The Gambia after lunch as our new friends head for the airport!!! YES - We need your help to take IMR supply bags internationally to Senegal! Take 2 supply bags for IMR both ways to Senegal.